Reader beware: this week’s photos contain graphic material that may be unsuitable for some viewers. I know I was unsettled. This guy FLEW across the room the other night as I approached him armed with a bottle of Windex and a roll of Viva. He was like “Seriously? That’s all you got?” I am only slightly embarrassed to admit running back down the hall whimpering loudly enough to wake up two children. 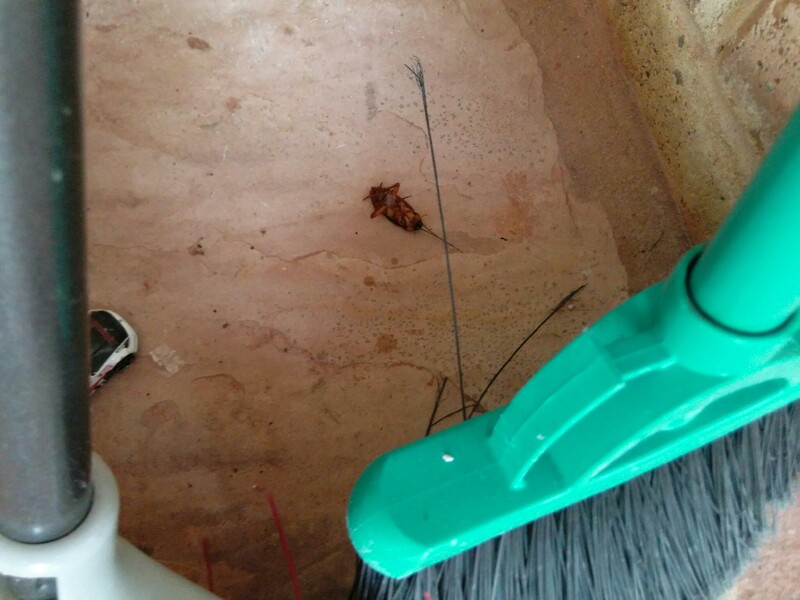 This cockroach, though slightly smaller than his previous friend, was shockingly NOT DEAD. He was merely lying in wait. 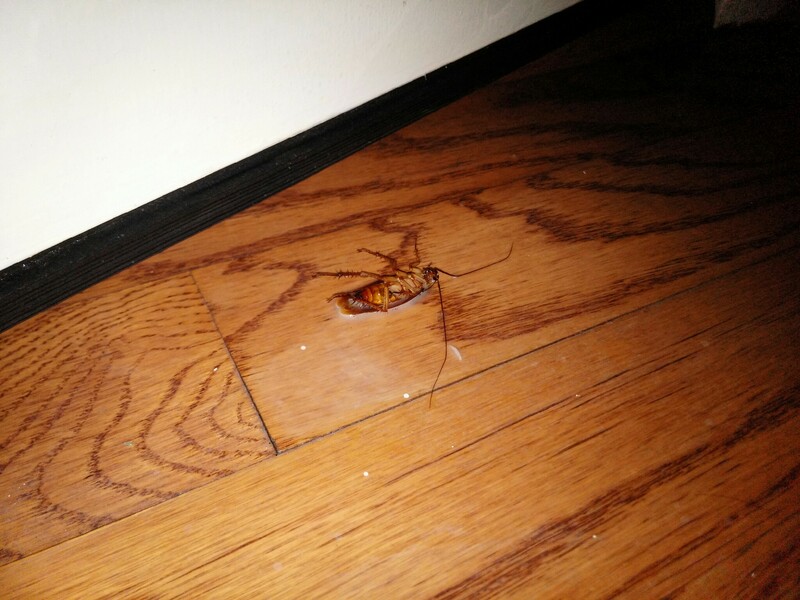 To think I was scared of the occasional NYC roach is what embarrasses me now. 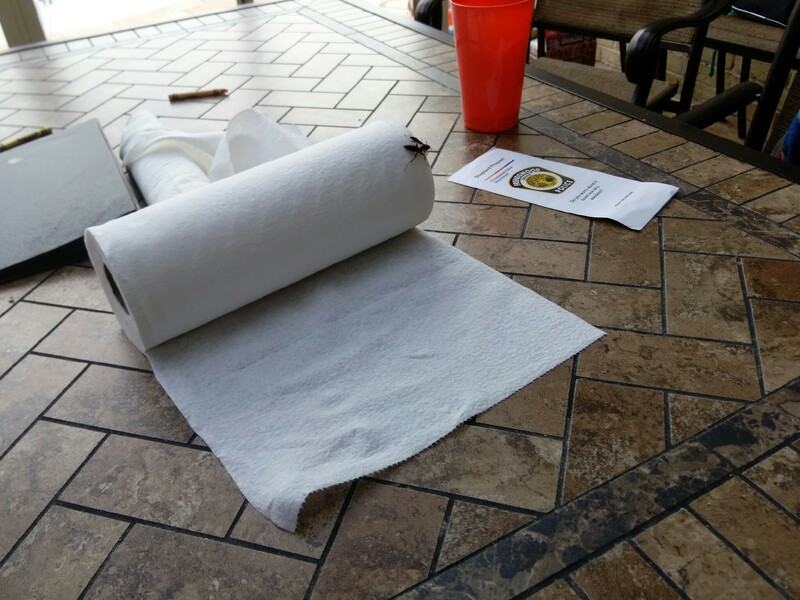 I shot this paper wasp (apparently low on the wasp totem pole) with a bottle of 409 because Windex Vinegar Cleaner didn’t seem strong enough. 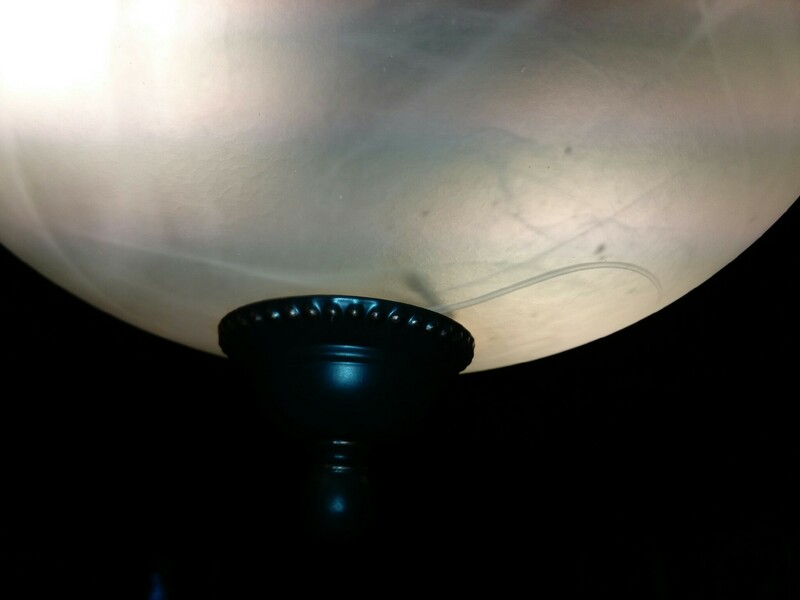 I took down another one inside this light fixture. He’s still there – see? 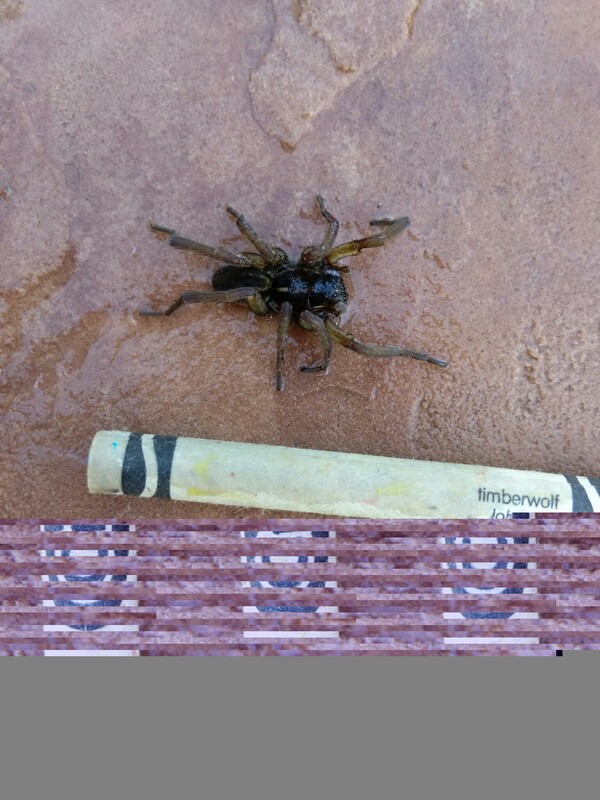 My 2 year old found that he had company in the pool the other day. 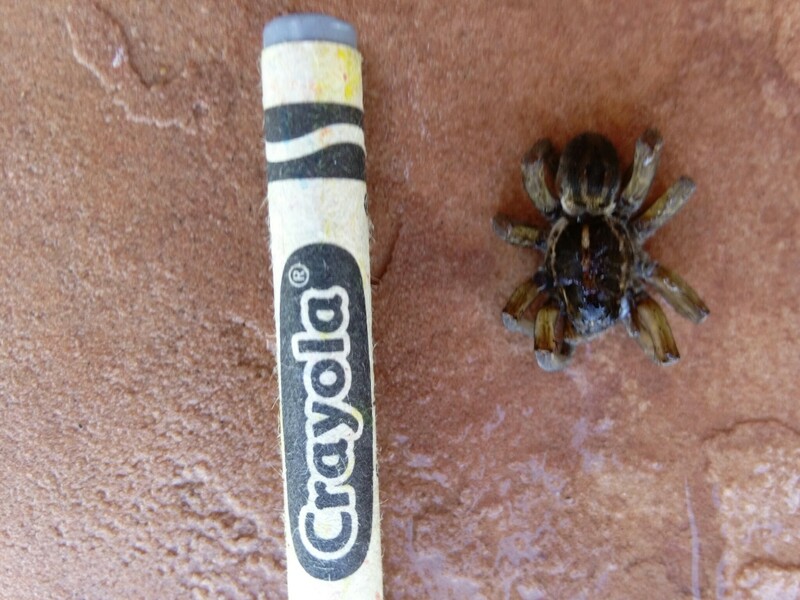 Apparently, it was a wolf spider. I have no idea what this thing is, though. Anybody? 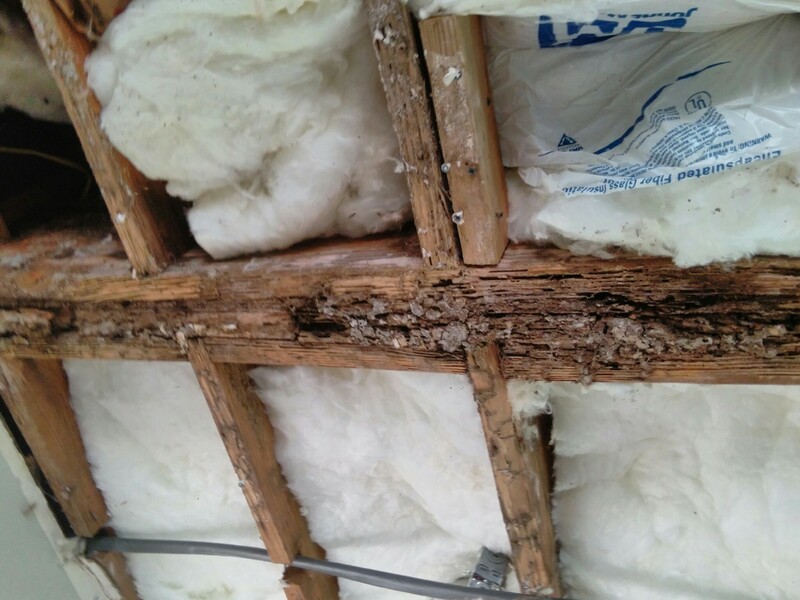 And here is some termite damage hidden by the previous owners (thanks, guys!). Even the dead bugs are devastating here. in Texas. 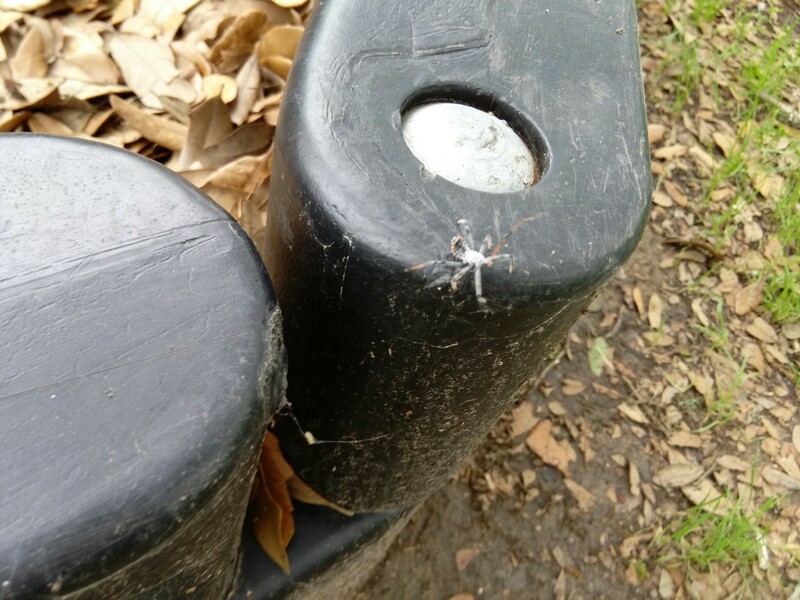 Gotta have thick skin and no fear to live in Texas….Yuck! !